Bodega Bay is great for day trippers coming up from San Francisco, located about 60 or so miles from the city and there are lots of restaurants, hotels, hiking trails and camping trails as well as fishing to keep you busy. It is crab season right now so we got to enjoy some fresh and delicious Dungeness crab at our favorite spot Lucas Wharf Restaurant & Bar that overlooks the ocean and fishing boats. 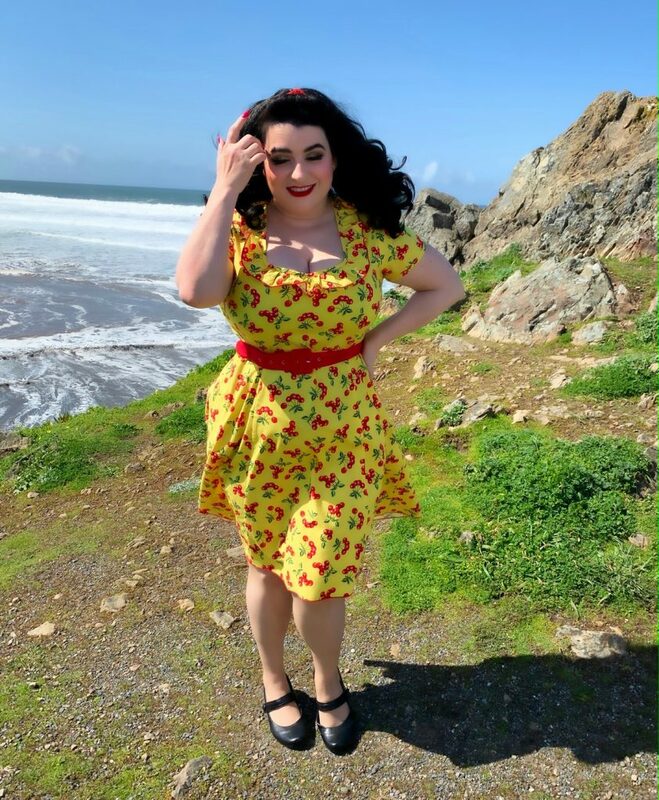 It was such a gorgeous and sunny day after we have had quiet a rainy start to Spring and I was looking forward to wearing my new Ebury Skater Pin Up Dress in Yellow with Red Cherry Print by Bernie Dexter. The Ebury Skater dress is bright and cheerful with pops of red cherries and I love the ruffle collar detail and pockets this dress has. In Bernie Dexter dresses I wear a size 3X to fit my bust and this dress was so comfortable and light that I could wear it all day. 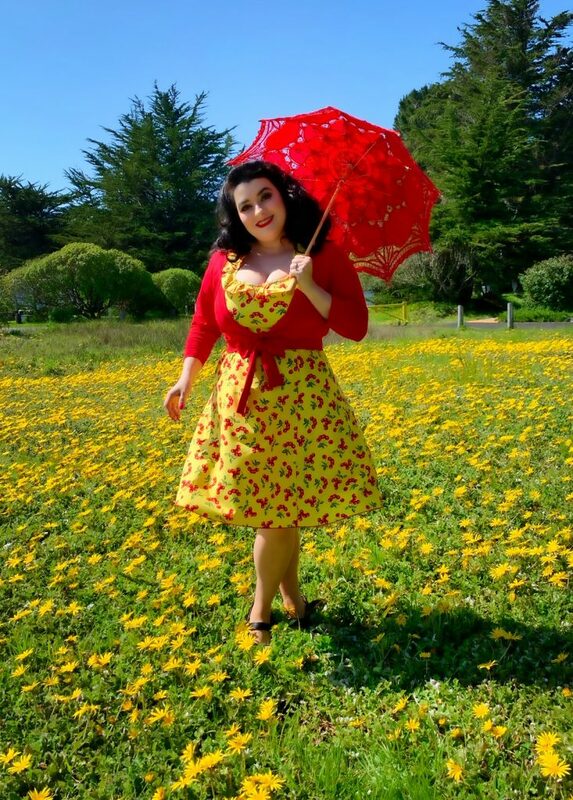 I added a red cardigan, red hair band and my red parasol for pops of color. 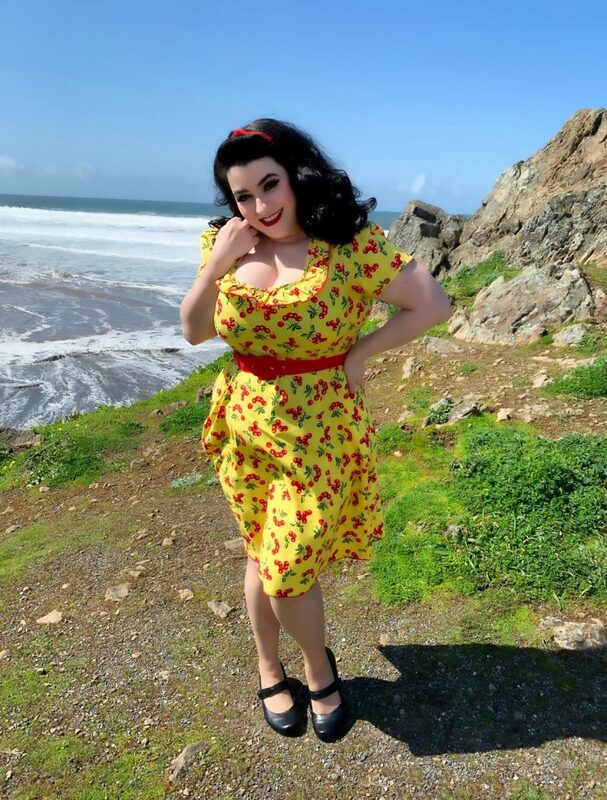 Bernie Dexter makes such beautiful clothing and has sizes ranging from XS-4X so curvy girls can be dressed in lovely one-of-a-kind prints with that Pinup retro vibe that is so feminine and flattering. 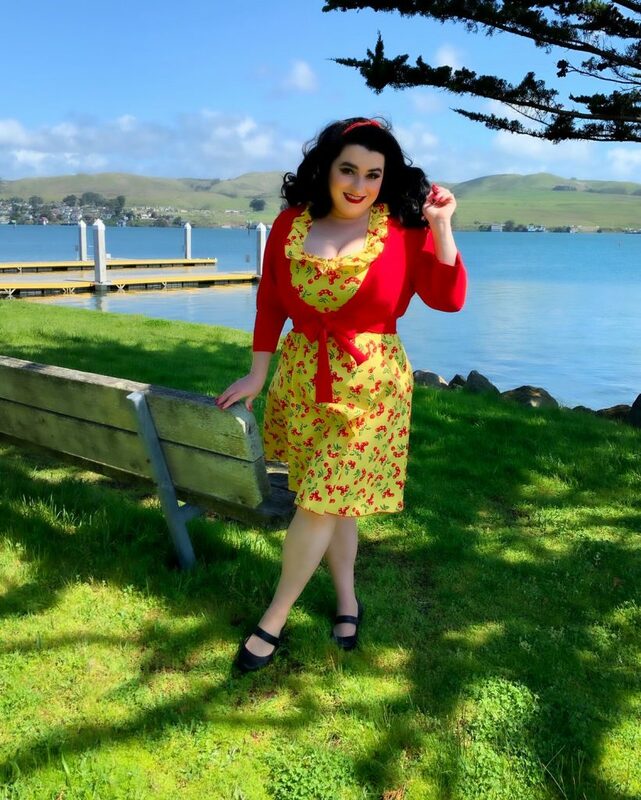 We had so much fun in Bodega Bay that it felt like we were on vacation…. Even though we were only about 20 mins from home. Hope your Spring is off to a lovely start! !